Ashleigh had reached out to the group looking for advice on site traffic and SEO. After visitng her site, I decided to send a personal message and offer my services. She took me up on this offer and from there we jumped right in. Our first task was completing Step One on all my projects, the Brand Questionnaire. This gave us a starting point to talk through her brand and vision. We also got to know each other a bit better! I was thrilled to learn that she lived in one of my favorite places in the US—Charleston. 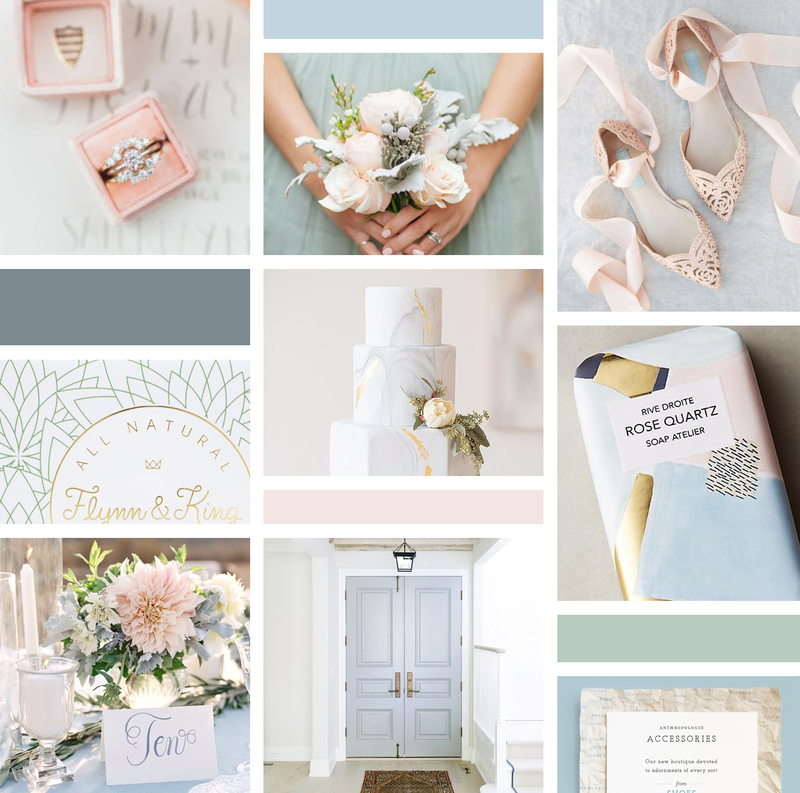 Ashleigh's personality definitely shines through in her brand vision and keywords: sophisticated, soft, vintage, pastel, and clean. Below you can see the mood board I created to help us visualize the brand direction. Once we talked through the mood board, I had a clearer picture of the logo options I wanted to offer her. For the first logo, I wanted to do something similar to her current logo, just cleaned up a bit. The second choice, I was very much inspired by Charleston and the pineapple as a symbol of Southern hospitality. For the third choice, I wanted to incorporate flowers, whcich she mentioned she loved. She definitely had a tough choice to make, and I couldn’t be happier with her decision to pick Logo 3! Now that we had the logo in place, it was time to start pulling together color palette, fonts, photography style and more. 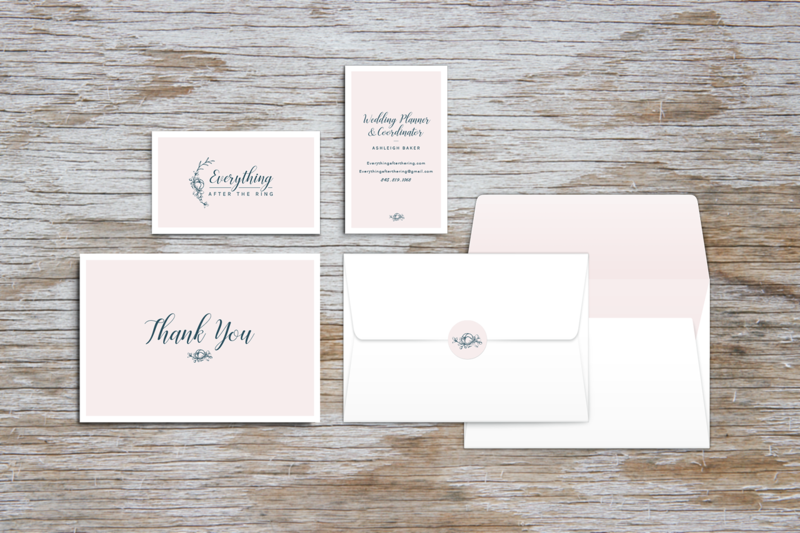 Below you can see how these pieces came together for her business cards and Thank You cards. Last was the website. 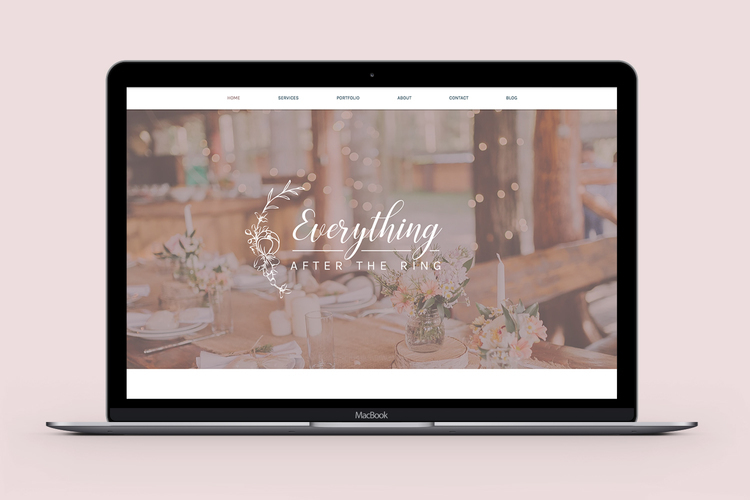 Ashleigh already had a Wix account, so we decided to move forward with a Wix template to use as a jumping off point. Below you can see how the branding shaped out for her site. You can also visit the live site here. One of Ashleigh’s main goals was improving SEO. With that in mind, I helped her develop user flows and content strategy. Having her think through her audience and focus on how she wanted to tell her story was crucial to making sure we used the right key words in the righht spaces. Along with strategy, it was also important to make sure we were using Wix correcly. So I worked with her on optimizing the Wix SEO tools. It’s too soon to measure our SEO enhancements, but I know we have Ashleigh set up for success. I can’t express how much I enjoyed working with Ashleigh on this project. She has an amazing vision for wedding planning. If you’re looking for a creative, detail-oriented, and amazingly kind wedding planner, I would recommend her. Are you looking to update your brand, or maybe even start from scratch? We’d love to hear from you! Contact us here and let us know how we can help.